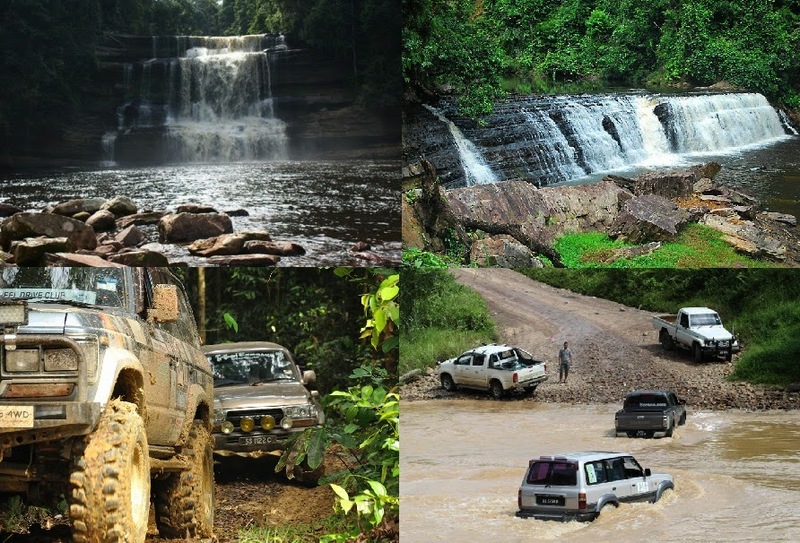 WRS Four-Wheel Drive has organised a three-day expedition to the Imbak Canyon and Maliau Basin. More than 60 four-wheel drive vehicles were participating the event and took off on last Friday. Drivers were flagged off from the compounds of the Menara Tun Mustapha by the Director of Yayasan Sabah, Tan Sri Datu Khalil Datu Jamalul. Imbak Canyon Conservation Area is located almost right in the heart of Sabah with a total area of about 30,000 hectares and just north of the famous Maliau Basin. It encompasses two ridge-top Virgin Jungle Reserves plus the Canyon itself and makes a significant contribution to the coverage of protected areas in the centre of Sabah. Meanwhile, Maliau Basin which is famously known as “the lost world” is the greatest treasure in the southern central part of Sabah, one of the few remaining relatively untouched wilderness area on this Earth and site of the 7-tiered Maliau Falls. The Maliau Basin Conservation Area encompasses the whole of Maliau Basin itself (390 sq km), plus an additional 198.4 sq km of forested land to the east and north of the rim, including the fabled Lake Linumunsut, formed by a landslide blocking a small tributary of the Pinangah River.